So you want a job on a cherry picker. We offer tips on How To Get An Aerial Lift Job. Where do you start? A cherry picker, or aerial lift is a specialized type of forklift. They are typically used in the short term for maintenance or construction projects. Their purpose is to provide temporary access to elevated areas that are difficult or impossible to reach by other means. Like forklifts, aerial lifts are tightly regulated by the Occupational Health and Safety Administration (OSHA). 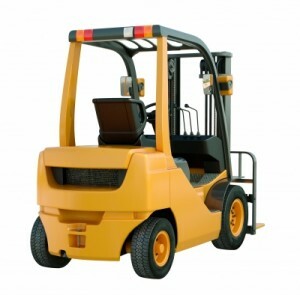 Also in common with forklifts, aerial lifts have a poor safety record. An average of 26 construction workers lose their lives each year as a result of an aerial lift accident. Many of these accidents can be prevented by proper training and certification. For this reason, getting a job working on an aerial lift will be much easier if you turn up on prospective employers’ doorsteps already trained and certified. You will still need to undergo hands-on, site-specific and equipment evaluations, but if you can show that you have undergone the classroom phase of aerial lift training, you will have an advantage over those applicants who show up empty-handed in this respect. CertifyMe now offer online aerial lift and scissor lift training. Identifying vacancies for aerial lift work is easy. Within a few mouse clicks on Google or other search engine you can find yourself combing through dozens of promising opportunities. Ask local residents in the area and read local newspapers. This entry was posted in Aerial Lift Training on November 26, 2013 by admin.